If we think back about our toys when we were young, one of the first things we reminisce about are our favorite plush characters — we took them on adventures (real or imaginary), we snuggled them for naps and even invited them to elaborate dinner parties. When the Build-A-Bear Workshop originated in the late 1990's, we immediately wished it were around when we were kids. The experience of picking out your character and then bringing them to life (by stuffing, customizing and accessorizing) is nothing short of magical. Although kids love the experience, it doesn't mean that adults or young adults won't love it just as much — in fact, Julie and I had one of our earliest dates at Build-A-Bear and we still have the flamingo we made. 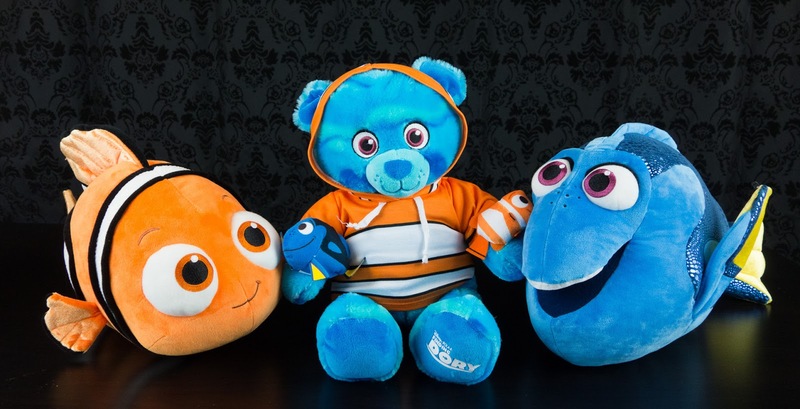 Build-A-Bear Workshop currently has a limited edition line themed after Finding Dory (featuring Dory, Nemo, Ocean Bear) and they are wonderful — in fact, we think the Dory plush is the best plush we've ever seen made for her. We knew we had to have all three characters and wanted to pass along our thoughts on the line – as well as accessories. Watch our quick-look video below (or direct on our YouTube channel) and let us know your thoughts in the comments below. Which character do you like the most and have you bought one yet? 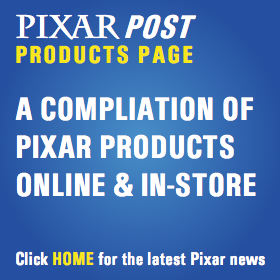 Head into your nearest Build-A-Bear Workshop (store locator) and check out the full line of Finding Dory plush and accessories.